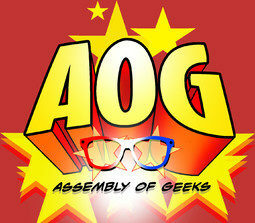 Posts tagged with "Assembly of Geeks"
The Caffeinated Collector: Episode 32 - Wait, What Did I Just Say?!?!? The Caffeinated Collector: Episode 31 - "Hope"
Coffee With Kenobi's Dan Z Joins the Assembly of Geeks to Talk Rogue One! The Caffeinated Collector: Episode 30 - That's What Star Wars Means To Me, My Love! !